discover, tap and actualize their own one-of-a-kind genius. Did you know there are different types of brains? 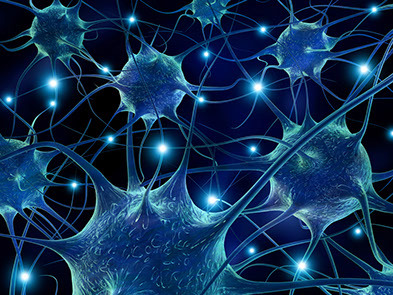 YES, DIFFERENT BRAINS... and depending on the type there will be more activity and more neuro-receptors in different areas of the brain. Each type holds its own unique genius potential. EACH GENIUS TYPE HAS DIFFERENT STRENGTHS AND WEAKNESSES. They each perceive the world differently, make decisions differently, communicate differently and thrive in different environments and in different situations. THE GENIUS CODE™ reveals the hidden 'code' that shows you how the different types of brains work and how to unlock the different types of genius. As you work with the code (as it applies to you), you'll begin to tap into and develop your genius more and more with time. THE GENIUS CODE™ gives you the blueprint to actualize your full potential. You'll discover what it takes to nurture and align with your genius, and how to set up the conditions needed to activate, develop, refine and master your unique genius potential. THE GENIUS CODE™ is not superficial personality typing. Personality typing can be interesting. However, statistics have shown that most personality tests are very unreliable, and even the best of the best tests mis-type people. Additionally, typing can label people and put them in a box. While personality tests may be fun, they don't give you a window into how your brain works and they're not a genius development tool. There are 8 ways your brain functions and each Genius Type is designed to use these functions in different ways. Sadly, most people never figure this out; life becomes an uphill battle and their genius potential is never fully realized. 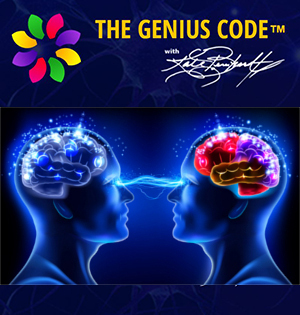 THE GENIUS CODE™ gives you the 'code' that rules the 8 different functions of the brain and shows you how each Genius Type combines these functions in very different ways. Once you know the code for your particular type of genius and the special way it combines the different functions, you'll become aware of aspects of your genius that you've never noticed before, and the way you see yourself will dramatically change. Over time, nuances will begin to emerge. These nuances are what makes your genius special and different than any other genius on the planet. Is Your Genius Being Thwarted? Unfortunately, many social norms thwart certain aspects of each of the different Genius Types and teach us to do the same to ourselves and others. This is not only painful, because you're inadvertently thwarting and constraining the very Genius Type that makes you who you really are, it also undermines the development of your unique genius. In many cases, this can be so subtle that you don't even notice as your genius is withering away and dying. And don't underestimate the power of subtle constraint, because research tells us that subtle constraint works much more effectively and is far more harmful than overt constraint. These subtle yet powerful 'messages' (that go unnoticed) are very powerful ways to undermine and kill genius. THE GENIUS CODE™ will teach you how to recognize and navigate around these tricky issues and give you permission to free yourself from the social constraints that are hindering your genius. Here are just a few of the many signs that your genius is being thwarted. If none of these sound like you, keep in mind that there are many, many others. We'll cover all of them in THE GENIUS CODE™. Have you ever copied everything someone else has done to be successful, only to get no results? THE GENIUS CODE™ is designed to open your eyes to your unique genius. You'll discover how to identify, nurture, develop, refine and master your unique Genius Type. Once you know your Genius Type and align with what it needs to thrive, you'll organically blossom into the unique individual you're meant to be, bringing to the world that which you're destined to bring. Today, the world is in dire need of entrepreneurs that are committed to living InGenius™. When you live InGenius™, something greater than what you know yourself to be takes over... it breathes you... and the 'little you' disappears. InGenius™ your life shifts into a different dimension, synchronicity takes over, and your Legend begins. Are You a Secret, 'In-Cognito' Entrepreneur? Do you secretly know that deep within you you're truly meant to be an entrepreneur, but you're currently 'in-cognito'? THE GENIUS CODE™ is the perfect way to break out of your shell and birth your genius. Join me and entrepreneurs from around the world for THE GENIUS CODE™ and start living your life InGenius™. THE GENIUS CODE™ BETA LAUNCH is designed to give 40 women a highly intimate experience. Are you being called to be one of them? If the answer is yes, you're in for a very special treat, because you and the other 39 women will be the only ones to ever experience THE GENIUS CODE™ in such a small and intimate group setting. 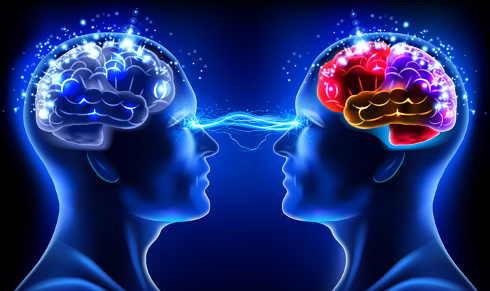 My one-on-one clients tell me that what they've learned about their Genius Type is absolutely, hands-down priceless! They often say, "I want to learn more about this... you need to create a course all about THE GENIUS CODE™." In the past, I've only shared bits and pieces of this information with my clients in their one-on-one private sessions. But now, for the first time ever, I'm releasing this profound, life-altering information to the public. During this LIVE, highly intimate BETA LAUNCH, you'll be the first to discover THE GENIUS CODE™ in a way that even my best clients have never experienced. Why? Because in private sessions, I only share with a client the parts of THE GENIUS CODE™ that pertain to them at that moment; information that's applicable to what's happening in their life currently. You see, private sessions aren't the right place to reveal what's meant to be shared in a group course setting. Because I want your feedback and your success story. A BETA LAUNCH is the perfect format to gather your input and your personal transformation story before I go live with a full-scale launch. You get a dynamic, highly intimate experience and your own personal transformation and I get to share your story with the world (if you give me permission to) when I go LIVE with a full-scale launch. Why not deliver the course in 12 weeks instead of 12 months? Because deep learning and meaningful change takes time. I want you to have the luxury to integrate and work with the content of each module for an entire month. No more falling behind or feeling like you couldn't implement the information from the modules fast enough; leaving you feeling scattered and incomplete when the course ends. At the end of the course, you'll get private, one-on-one access to work with me over the phone for a full 90 minutes. I'll spend 90 minutes with you, one-on-one, giving you high-quality, laser-focused attention directed specifically on the topic of your choice. Are you ready to join 39 other brilliant entrepreneurs that are committed to living InGenius™? If yes... I look forward to sharing this profoundly powerful information with you during this special BETA LAUNCH that begins in the Fall of 2016! It's finally time to say "YES" to your GENIUS! P.S. Once you sign up, keep an eye on your email for the announcement of the exact start date, as well as three special surprise bonuses you'll be receiving prior to the start of the course. These bonuses will be a perfect way to start your New Year and prepare you to get the most out of the course when it begins. You'll receive 12 modules and 12 group coaching sessions. One module and one group session delivered each month for 12 months. PLUS, you'll also receive your very own 90 minute private, one-on-one, phone session with Kate Bernhardt. 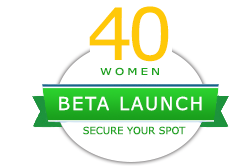 Although this BETA LAUNCH is a group course designed for women only, in my practice I work with both men and women. I'd like to share a couple of my client's case studies with you. May they touch your heart and help you realize the power of understanding your Genius Type. Here's Marge and Jordans' case studies. Enjoy! Marge walked into her session wearing a grayish-brown nondescript baggy skirt that hung below her knee ending mid calf. Her shirt was of a similar color and shape and her hair hung down almost touching her shoulders; it had a slight natural wave to it but something about it was also nondescript. Oddly, her presence had a grayish-brown quality to it, too. She said she was intrigued by the thought of discovering the genius within herself. Although she said she was intrigued, there was little to no excitement in her voice. She continued by explaining that she'd recently been diagnosed with cancer and that there was not a lot of hope for recovery. Both statements were rather matter of fact. Jordan was definitely the black sheep of his family. This was not surprising considering his genius type. His relationships were a mess and he lived on a shoe string, which was not so much a problem for him, but it wreaked havoc in the lives of everyone around him. He had a tremendously generous heart and was a good soul, but due to his circumstance he used his charm and charisma to get him out of mess after mess in ways that were less than desirable. Although he was in his thirties, he couldn't hold a job and was what some might term a couch potato. He was at risk of losing the one relationship that was most dear to him and had no prospects for the future that would shift his circumstances. Her shirt was of a similar color and shape and her hair hung down almost touching her shoulders; it had a slight natural wave to it but something about it also was nondescript. Oddly, her presence also had a grayish-brown quality to it. As the process unfolded, eclectic quirky aspects of Marge began to emerge. And although she spoke of these things directly, it was as though her consciousness was not fully aware of what she was saying and didn't piece them together. This is a normal occurrence. My role was to facilitate the expression of these aspects of her being and then communicate them back to her, so that she could become conscious of what was unconscious. For brevity sake, I'll consolidate some of the highlights of what she and I discovered together below. The first 2 things that came to the surface shocked her a bit because she had never consciously considered them. I never suggested them, they just came up during our conversation. 1. She was fascinated by motorcycles. The very thought of them caused glee and excitement to emerge. 2. The thought of wearing a pair of black leather pants and a black leather jacket changed her physiology right in front of my eyes. 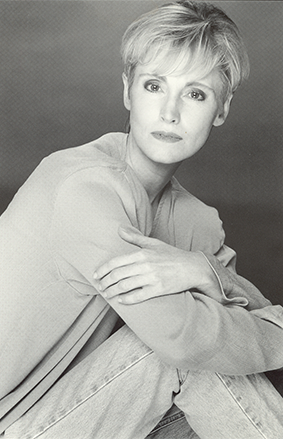 She'd studied music composition in college and had a great love of operettas (think "The Pirates of Penzance." Haven't seen it? Go watch the movie with Kevin Kline and Linda Ronstadt on Netflix... it's lots of fun). Operettas can be dramatic ("Madame Butterfly", "Sweeney Todd") or they can be comedic ("The Pirates of Penzance"). Some comedic operettas are spoofs or satirical in nature. Next, her quirky, satirical comedic nature peaked out from behind her 'grayish-brown' personality. How did all that come together for Marge? Well, she eventually bought a motorcycle and a pair of black leather pants and a jacket to go with them. Did she turn into a 'motorcycle mama'? No, this was not about morphing into a 'motorcycle mama' forever. It was about the theatrical side of her desiring to break out of its shell and do the outrageous every so often. And she enjoyed and embraced it fully. You see, at her heart she was a performer and actor... desiring to have fun and play with her multi-faceted personality like an actor does. They can play many types of roles, but they still know who they really are. And what about her genius? As the pieces of the puzzle continued to come together, a very eclectic picture appeared. This is not surprising because some (not all) types of genius are extremely eclectic. Her genius desired to compose and write satirical comedy operettas and star in them. I forgot to mention she'd aspired to be a singer back in college. Okay you say... but really... how is that going to happen? Well... when you're aligned with your genius synchronicity shows up. First, I suggested she investigate theater spaces in the area. Surprisingly (but not really surprisingly), she found the perfect intimate theater in a fabulous part of town (I almost couldn't believe it). The seating was casual with tables and chairs, so people could order drinks during the performance. The theater was not exclusively occupied by a theater company (which is very unusual). Instead is was rent-able per night, per weekend or even per week to anyone who wanted to perform there. She held rehearsals. She and the cast sold tickets and they preformed to a packed house for their entire run. She was a big success and went on to establish her own theater company, writing operetta after operetta. Keep in mind, Marge worked intensively with me in person over an extended period of time. All this didn't happen in a one hour session. But every step of the way layers of her old facade pealed away, and her discovery process was rewarding all along the journey. 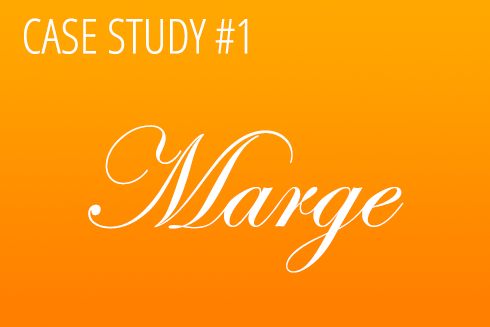 BTW: To protect my client's privacy, in this case study I have changed her name to Marge. To say the least, his impending future looked very dim. Now without going into all the details of his genius type, I'll give you a run down of what transpired for him. As Jordan learned about how his genius type, he realized that his brain functions in spurts. This means that when he is not in high-performance mode, he actually goes into shut-down mode. Now since he didn't know this about himself, the way it was expressing in him was happening in a very discreative manner. He spent most of his time in shut-down mode (which he secretly felt guilty about). This caused him to not only lay around, but lay around with a glum attitude in a semi-depressed state. Then, even when his financial issues began to escalate, he still would not be moved to take action to resolve them. Only when he was truly 'up against the wall,' and his circumstances had reached a state of emergency, would he be moved to action. Interestingly, emergency for him is not like it is for most of us. Jordan actually thrives and comes alive around emergency. But the only skill set he'd ever developed was his charm and charisma, and his pressing circumstances often led him to use those talents, as I mentioned before, in unfavorable ways. Once Jordan could see how his mind works, everything changed for him. You see, Jordan has a very quick mind and it's capable of 'connecting the dots' extremely rapidly. That's what gives him his wonderful dynamic, charming, witty and charismatic personality. It's also what allows him to thrive under pressure. He actually comes alive in crisis. His mind goes into hyper function naturally and easily, and he excels in this mode. You can see how having him around can be very valuable if you really understand and appreciate him for who he is. Now it's important to realize that although Jordan excels around challenges and emergency, he also loves his stabilizing, coach potato downtime; time with loved ones that's dependable and nurturing to his soul. That's why his relationship with his significant other was so important to him (even though it appeared to everyone that he didn't really care about it, because everyone misjudged his behavior). So what did this brilliant guy do once he really understood himself and his genius type? Well, synchronicity stepped in and Jordan happened to read about the high demand for deep sea divers that go out on oil rigs. These guys lay around on the oil rig all day, day after day. But if a pipe breaks, they spring into action and work to rapidly fix the issue... saving all of us from impending disaster. And guess what... within days he'd not only found a certification training that was just about to begin, he'd also managed to gain admittance and secure a full scholarship to the program for himself. Jordan's biggest issues had always been financial. However, with this new career that was about to change big time, because oil rig deep sea divers make BIG BUCKS! It's one of the top paying careers available. But the perks didn't stop there, because Jordan would get to travel the world (for spurts of time). Going out on a rig for 3 or 4 month out of an entire year, then having the rest of the time off. When on the rig, he would get to lay around like a couch potato until he was needed. And if he was needed, he could exercise his greatest skill... being calm and quick-minded in the midst of a disaster. Jordan's genius needed spurts of exploration and adventure, but not all the time. Most of the time he wanted to veg-out in the comfy, loving atmosphere of home. This new career fit him perfectly and was going to provide more than enough financial stability to give his girlfriend the security she needed to thrive. BTW: To protect my client's privacy, in this case study I have changed his name to Jordan. "A big light bulb went off..."
"WOW... I discovered that (after decades of not really liking many parts of myself) I'm REALLY COOL! "The way my mind operates, well... I wouldn't want it to be any other way. "Even what I've learned about other genius types has been invaluable. It's helped me tremendously to not get frazzled by their seeming odd behavior (see my comment about my fabulous hubbie below). "I've completely stopped feeling like I needed to change myself. Instead, a big light bulb went off when I learned about my type and how my brain works! I automatically started understanding myself and seeing myself completely differently, which caused me to automatically love and embrace myself in a whole new way. And I really do mean I deeply love and appreciate everything about myself now. "I know I used the word automatically twice in the sentence above, but I did that because I want to stress that this is completely different than all the other courses out there (and I've done a lot of them). "Everything else is about applying methods or new points of view, or some courses are about removing things. But either way, you have to do all this internal and/or external work before your life changes and you're able to get any benefit. "Kate's genius typing isn't like that. Not at all. "Once you learn about how your brain works, you fully 'get it' and everything shifts. You see yourself and others completely differently and your experience of the world automatically adjusts! "The other cool part of Kate's work is that it seems to cause synchronicity to kick in. I can honestly say I would never have considered seriously dating the wonderful man I've recently married if it wasn't for what Kate taught me about genius types. And I would have missed out on marrying the absolute love of my life. "All I can say is... my life is completely different and I am completely different as a result of what I've learned about my genius type. Don't consider discovering your genius type... just DO IT!" "Kate is an angel living among us. We're all truly blessed by her presence." "An enormous amount of invaluable information..."
"I had a great consultation with Kate about my genius type. She explained a lot about my past choices and how to effectively proceed. She's incredibly brilliant and has tremendous knowledge of the human experience. I received an enormous amount of invaluable information. Thanks Kate!" "As a top executive in a multi-national corporation..."
"Kate is an amazing woman, coach, friend, confidant, and trainer. She's helped me through so many business issues; issues that are inherent when you're a top executive in a multi-national corporation. Let me name a few: standing up for myself without all the drama, stepping into my own space, maintaining balance and calm in the midst of bosses having emotional meltdowns all around me, setting clear healthy boundaries gracefully, working with the emotionally unstable without being pulled into it, owning the amazing business woman I am, setting goals that honor myself and the laws of nature. "What I learned about my brain type shifted my outlook, gave me new found respect for myself, and allowed me tremendous insight into the wild work dynamics that are hurled at me on a daily basis. This insight has lead to my developing the ability to not just cope with it, but to be able to flow with it and rise above it, enabling me to create positive change around me. Work, which before felt like slow torture, is now not only far more bearable, it is (at times) even rewarding and exciting. There are even days when I walk away with a wonderful sense of accomplishment and feeling like I just had a big win. "Kate knows things that I have no idea how she could possibly know them. It's uncanny. Her training and life experience allows her to support, coach, nurture and acknowledge you with amazing finesse, while at the same time getting right to the heart of the matter. She's one of the few out there that really care about what she brings to the world. She really makes a difference for the people who are lucky enough to have her touch their life." "Wild! What a surreal experience!" "Kate is so generous when it comes to sharing her wisdom and knowledge, both which run vast and deep. She gave me wonderful recommendations. Kate is a genius!" "It all opened up to me..."
"I'm radically different... my life is radically different... my experiences are radically different, everything about my world and the way I see it is radically different... words cannot begin to describe the change that has occured. I know without a doubt that I would never have been able to make this kind of dramatic shift without Kate. "I truly feel Kate was and is my angel. She showed up in my life in such a miraculous way at a time when I was in a very desperate place. "I was severely depressed and in so much pain at times I just wanted to die. Yet, I was numb to so much of my feelings, because I knew if I looked at all of it, I wouldn't know what to do with it all, and I intuitively felt that if I looked at all of it, I might never find my way out of it, ever. "I slept most of my time away (if I wasn't working). I hated myself, wasn't comfortable 'in my own skin', and felt I didn't fit in. I deeply believed no one could possibly like me (even though they acted like they did and said they did). Deep down I hated myself so much, I really believed that everyone secretly thought I was weird and was disgusted with me. "I just wanted to be alone, but hated the pain I felt when I was alone. 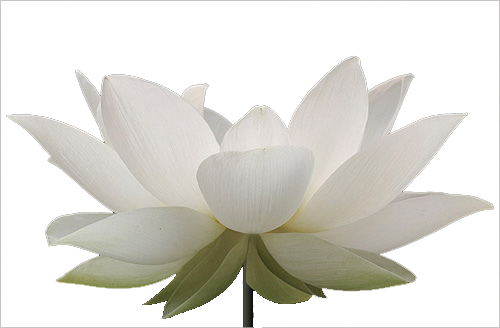 "Kate creates a beautiful, safe, loving and non-judgmental space. I deeply and profoundly felt Kate was there with me the whole time, every step of the way. She really understood what was going on for me and had the information, knowledge, wisdom, kindness and compassion, along with tools and a step-by-step process, that guided me every step of the way. "I could never have shifted all I shifted on my own; the pain and issues I had were so deep and there was a lot of 'stuff' buried there that I was not strong enough to look at alone. I could not have done it without Kate's guidance. Best of all, Kate empowered me to the point of self-mastery. "I am now totally self-reliant. I cannot describe how freeing and calming it is to go through life feeling that I can handle anything. I cannot find the words... it's like a wonderful inner peace and calm inside that stays with me no matter what's happening in my outside circumstances. It's an inner knowing that I will be ok. Even if outside things get stressful, I'm actually excited to see what else will come of what's at the root of it and what will happen when things shift, because now I see in a very profound way how everything happens for a reason. If something comes up, then something needs to be looked at and 'worked through' and there's always a wonderful blessing waiting for me as a result. "It is so freeing to really 'get' on an experiential level (in a way that I will never forget) that everything is within me. The outside does not matter, because I have the tools to shift my reality. It's total self-empowerment. It's such a precious gift. "I always wanted to study music and dance, but I never had the guts to actually do it. Because I only saw myself as a failure, I couldn't even think about doing it. But after working with Kate it all opened up to me, and it seemed so natural to begin to pursue music and dance and follow my heart. "I now live in a light state of being and love life." "The freedom of that weight lifted off of me cannot be described..."
I have never met anyone else like Kate. Her incredible wealth of knowledge and her ability to help others, not to mention her warmth and kindness, makes her a truly special woman to work with. She helped me understand so much about myself, about how my brain works, and why I am the way I am. The benefits of this knowledge are amazing! Not only do I understand myself better and am able to treat myself with much more kindness (and have patience with myself! ), it has also taught me how to work with personality aspects that I used to consider flaws. My confidence has gone up and my worrying has lessened. And those are just a few of the personal benefits – the knowledge extends so much further! It is awesome to see how my relationship with my husband has improved, and my job satisfaction is high – up until now, for my entire working life I was stuck in a stress-spiral that I could never step out of. The freedom of that weight lifted off of me cannot be described. All of this – and more! – was made possible by working with Kate. She truly changes lives. "After only a few weeks, major shifts have already occured..."
"After working with Kate for only a few weeks, I now hold hope for real change in myself. Major shifts have already occurred. I am now on my path and am already on my way to fulfilling my greatest potential in a state of clarity and peace. "I saw bits and pieces of my path before, but despite how hard I tried, I could never get aligned with any of it. I've always known it was my calling to write a book, but I never felt like actually writing it. "Now, without even thinking about it, I've already begun writing it. I'm so excited about life and to consciously observe the beautiful and perfect unfolding of it all!" "The change in my life is unquantifiable..."
"As I look over the shifts that have occured in my life since I met Kate, the change in my life is unquantifiable. The lens I see the world through has completely changed... the world as it presents itself to me has completely changed... and it's as if it's transformed all around me. It's something that no matter how well I tell my story... words cannot describe it. It's sacred... something you cannot define... it's undefinable. It happens to you and through you... it simply cannot be described in words because it goes so very deep. It goes to your very soul... it's like when you get chills when a miracle happens. It's not just about what happened, it's about the feeling you feel because you know you are connected to something greater than yourself which amplifies everything that is happening to you. Kate's work speaks to your soul and your soul awakens. It's inexplicably profound. I wish that I could tell you just the right words, but there are no words good enough. Work with Kate and you'll never be the same again. "I've never known anyone who does what Kate does to the level of detail she does. It's like she went down the rabbit hole farther than anyone would ever dare to risk going (and she does it with consciousness and grace, without the use of drugs of any kind). Kate gives you the short cut to this brilliance and widsom that took her what would seem like lifetimes to acquire. "Kate is kind, patient, honest, sincere, a deep listener, and sees parts of you that you cannot see for yourself. Her work is deep and analytical (thoroughness is an understatement when it comes to Kate), and yet she's a very clear communicator and finds a way to communicate it all in such a profoundly simple and engaging way, so you are riveted and can completely understand. What she shares touches knowledge you know to be true deep within you. She is never about blame, only insight and understanding. I have tremendous confidence and trust in Kate, more so than any person I've ever met. "She'll recognize your abilities and relate to how you think, and totally get where you are coming from. It's an experience I've never had at this level with any other person in my entire life." "I've always felt that there is tremendous greatness inside of me. It's like I can taste it, but I can never get there and I want to find it. Even when I was a kid, I could sense there was something great inside me... so close... something so very special that is just sitting there waiting to be activated and I want to find out what it is." If these words resonate within you, I hope you'll listen to your inner calling and spend AN ENTIRE YEAR on yourself in personal transformation, creating deep, meaningful, long-lasting change in a way you've never done before. Together we'll open doors of understanding, wisdom, relief, release and joy. I'll never offer this program this way again. Let that propel you to finally say "Yes" to your inner guidance and make 2016 the year you begin living your life InGenius™. Bernhardt's synergistic approach to these seemingly separate fields has led many to refer to her as a modern day DaVinci. The combination of depth and vast wisdom and knowledge Kate shares facilitates unprecedented change for those who have been fortunate enough to experience her work. If you need assistance placing your order, please contact us using the form below. We look forward to assisting you soon. These terms and conditions govern your use of this website and our membership site(s). By accessing this website and/or our membership site(s), you are acknowledging and accepting these terms and conditions. These terms and conditions are subject to change by Kate Bernhardt or CrackingYourGeniusCode.com, hereinafter referred to as "COMPANY" at any time and at our discretion without notice. Your use of this website and/or our membership site(s) after any changes are implemented constitutes your acceptance of the changes. As a result, we encourage you to consult the terms and conditions each time you use this website and/or our membership site(s). This site and/or our membership site(s) may link you to other sites on the Internet. These other sites are not under the control of COMPANY, and you acknowledge that COMPANY is not responsible for the accuracy, copyright compliance, legality, decency, or any other aspect of the content of such sites. The inclusion of such a link does not imply endorsement of the site by or any association with its operators. However, we may from time to time be compensated for referring you to certain vendors, and in such circumstances, we will let you know of that relationship. You affirm, represent, and warrant that you own or have the necessary licenses, rights, consents, and permissions to publish content you submit to the membership site(s). You agree that content you submit will not contain third party copyrighted material, or material that is subject to other third party proprietary rights, unless you have permission from the rightful owner of the material or you are otherwise legally entitled to post the material and to grant COMPANY all of the license rights granted herein. COMPANY does not endorse any content submitted to COMPANY by any user or other licensor. 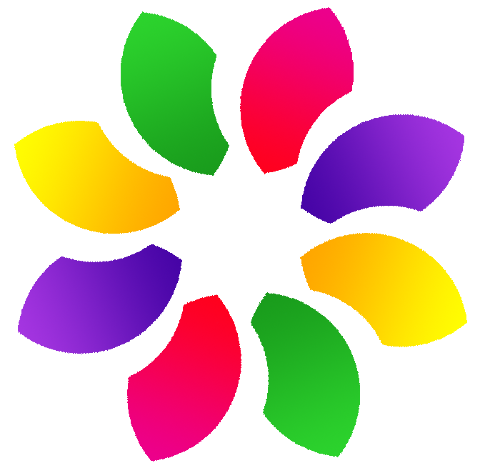 COMPANY does not permit copyright infringing activities and infringement of intellectual property rights on this site and/or membership site(s), and COMPANY will remove all content if properly notified that such content infringes on another's intellectual property rights. You agree not to promote any opportunities or products via affiliate links in any of the forum(s) that are part of any membership program(s) run by Kate Bernhardt and/or CrackingYourGeniusCode.com. You will not solicit other members of any membership program(s) you join. Failure to follow these rules will result in account suspension, and may result in account termination. COMPANY reserves the right to make the final decision regarding what is appropriate. COMPANY further reserves the right to remove content or terminate your account without prior notice for a violation of this provision, without providing any refund. Either you or COMPANY can cancel your participation in any of our membership programs at any time. No refunds for previous months of membership will be given once the initial refund period has passed. COMPANY's refund policy is described in further detail in Section 5 herein, as follows. COMPANY does not offer refunds on all of its products, services, and/or membership program(s). Therefore, please consult the Purchasing Agreement for that specific product, service, or membership program to determine if that product, service, or membership program offers a refund, and if so, what terms govern that refund policy. COMPANY does not guarantee that you will achieve any particular result from using and/or participating in any of COMPANY's products, services, and/or membership programs or from using any of the information on this site. If you need to contact us, you can email us at Support@CrackingYourGeniusCode.com, call us at 949-287-8652, or send a letter to: Kate Bernhardt, 315 Meigs Rd, Ste A108, Santa Barbara, CA 93109. Upon a request by COMPANY, you agree to defend, indemnify, and hold COMPANY and its other affiliated companies harmless, and their employees, contractors, officers, and directors from all liabilities, claims, and expenses, including reasonable attorney's fees, that arise from your misuse of this site and/or the membership programs. We may collect various types of non-personally identifiable information to help us make your experience more enjoyable, measure site activity to identify future improvements that should be made, compile aggregate data to help serve site visitors better, and to provide targeted ads. For example, we may use session and persistent "cookies," session logs, web beacons, GIF/pixel tags, banner ads, third-party click tracking analytics tools (such as Google Analytics), third party retargeting networks that may display our advertisements to you on other sites that you visit to remind you about us, third party networks that serve user-requested emails (e.g., for a refer-a-friend email) and similar technologies to collect non-personally identifiable or other aggregated information about site visitors and to use that information to provide targeted ads. Cookies are text files that are used by your computer's web browser to store your preferences, and enable us to enhance your user experience with our website. Additionally, you also have the option to opt-out of the collection and use of information for ad targeting purposes by going to www.aboutads.info/choices. By submitting your email address on this website, you agree to receive email from The Genius Code and from Kate Bernhardt. 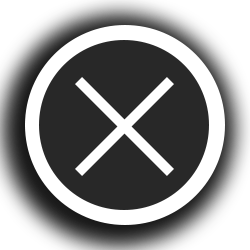 At any time, you can opt out of receiving emails from The Genius Code and/or Kate Bernhardt by clicking the opt-out link or other unsubscribe option that is included in the respective email. By participating in one of our membership programs, you agree and understand that other members of the program may see the comments, questions, photos, and/or other documents that you post on the membership site, as well as any responses to you that are posted by Kate Bernhardt or other members. If you do not want your personal details revealed to other members of the program, then please do not post any such information through the membership site. Similarly, you understand that any Q&A or coaching calls conducted by Kate Bernhardt may be recorded. Any personal details, comments or questions that you share on these calls may be heard by other attendees attending the call live, as well as those who may listen to a replay of that call. If you do not want your personal details revealed to other attendees listening live or to a replay of the call, please do not share such information on the call. In addition, you agree that by submitting your telephone contact information on this website and/or registering to receive the product and/or service offered herein, such act constitutes a purchase, an inquiry, and/or an application for the purposes of the Amended Telemarketing Sales Rule (ATSR), 16 CFR '310 et seq. and any applicable state and local "do not call" regulations. We retain the right to contact you via telemarketing in accordance with the ATSR and the applicable state regulations. We do not knowingly intend to collect personally identifiable information from children under 18 years of age. If your minor child has provided us with personally identifiable information, you may contact us at the phone number or mailing address listed in Section 7 herein if you want this information deleted from our records. We will then make reasonable efforts to remove your child's information from the database that stores the information. All requests sent via regular mail must be labeled "Your California Privacy Rights" on the envelope or postcard and clearly stated on the actual request. For all requests, please include your name, street address, city, state, and zip code. Please include your zip code for our own recordkeeping.